Does pizza ever get old? No, it doesn't. 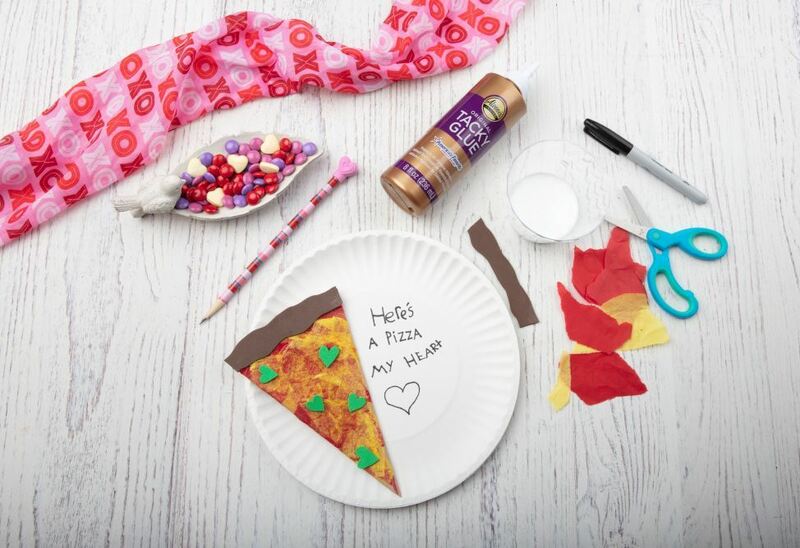 That's why kids and grownups alike will scarf up this Pizza Valentine using Original Tacky Glue, tissue paper and the decoupage technique! 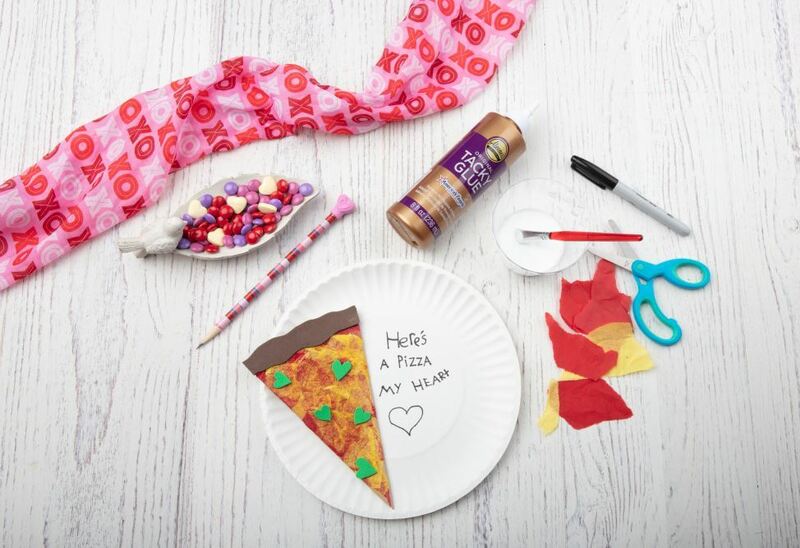 Add your favorite toppings, then personalize with a fun message for a Valentine craft that makes a great classroom or home art activity with the kids. Plus, who wouldn't love getting a Valentine that looks good enough to eat?! 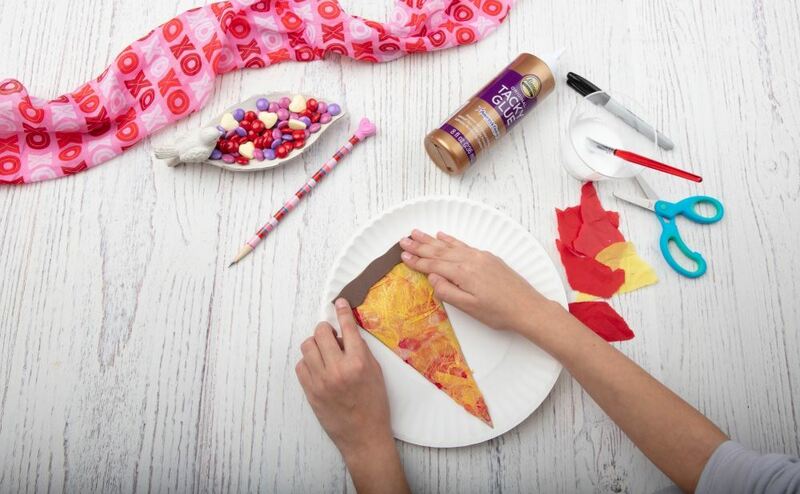 Cut out a pizza slice shape and crust from brown foam paper or brown construction paper. Glue in place on paper plate. 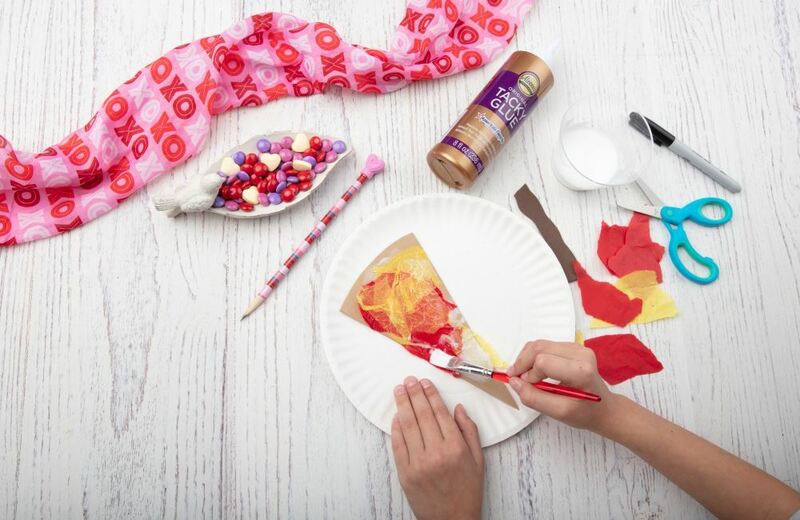 Tear pieces of red and yellow tissue paper for sauce and cheese, then use a foam brush or disposable paintbrush to brush a layer of glue over the top of the pizza slice. 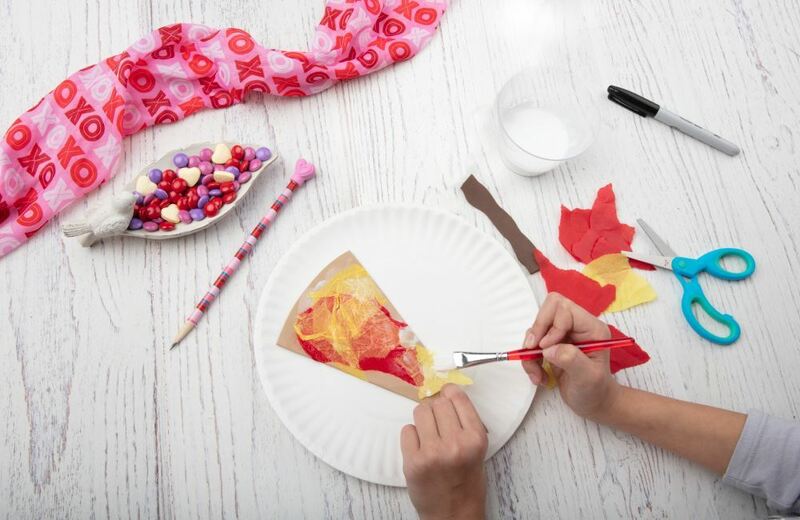 Start pressing red and yellow tissue paper pieces in place over the glue. Once you've glued the sauce and cheese tissue paper pieces onto the crust, brush a layer of glue over the top to seal. Glue the top crust piece in place. Cut out "toppings" from other pieces of construction paper and glue over the cheese. Let dry completely. 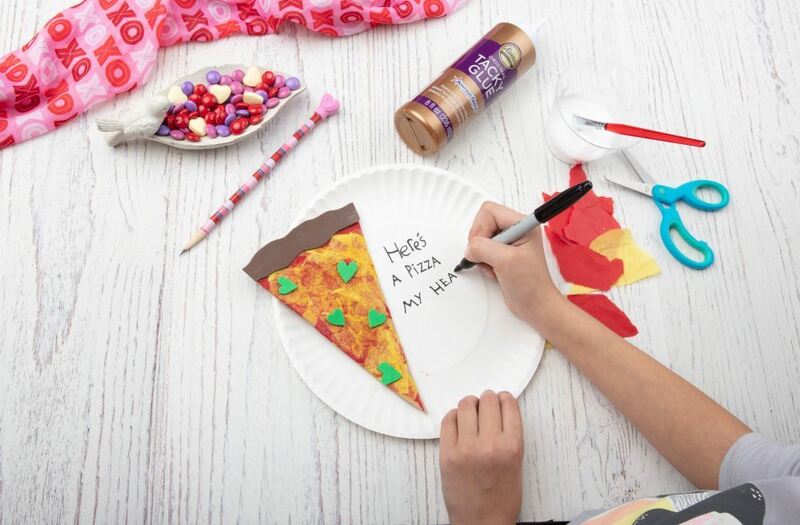 Use the marker to write a special Valentine's Day message on the paper plate. Give one to all of your friends to enjoy!